Many tourist pages and books do not write so much about this square, though it is one of the most beautiful places for some quietness, peace and a cup of coffee during the spring and summer. What make this square so special are the buildings surrounding it, and the size of the park that is in the middle of the square. 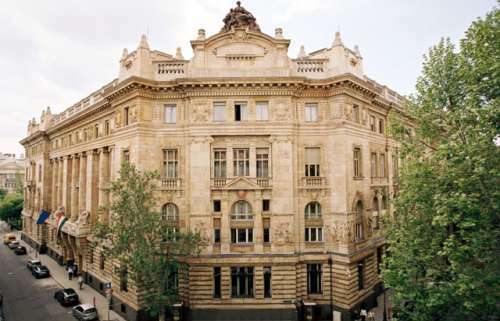 Facing the Liberty Square you can find several buildings; Hungarian National Bank, the American Embassy, the Inter-Europe Bank and also the Hungarian State Television (MTV). In the middle of the Liberty Square you can find the last monument from communism left at its original place in Budapest (the rest has been moved to the Statue Park, just outside the city). 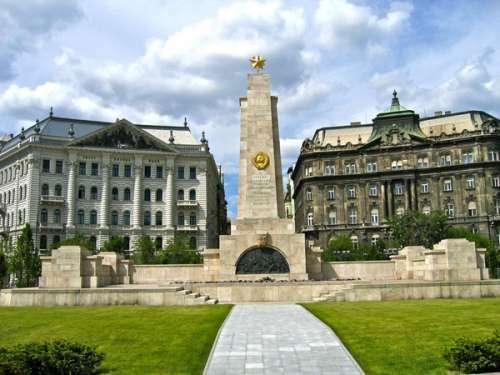 At the monument you can see a text giving praise and thanks to the Communist troops for saving the Hungarians from the Germans (the communists “ordered” the statue, the Hungarians had to pay). In 2006 this was the scene for some political rebellion, as people unsatisfied with the government and the Prime Minister tried to invade the Hungarian State Television to demand the resignation of the Hungarian Prime Minister Ferenc Gyurcsány. It's a yellow building was completed in 1905. Used to be the Austrian - Hungarian Monarchy Bank. The walls are decorated with relieves referring to banking activity on the 1st level: different faces represent all the nations. Budapest, which is nestled in the heart of Hungary, is the nation's capital and home to more than 1,700,000 residents. This city, whose historical center was declared a UNESCO World Heritage Site, is one of the most beautiful spots in Europe. The Danube River, which carves through the city, is the unifying force among the city's two sides that comprise its name: Buda and Pest. The temperate climate, with hot summers and mild, short winters, make Budapest a top European tourist destination. 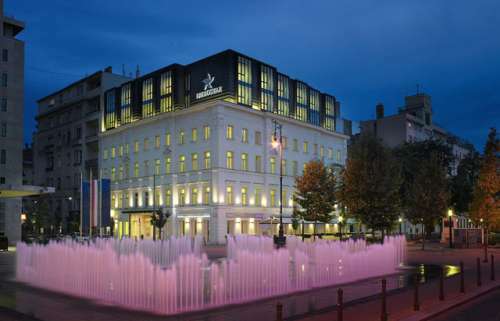 The Iberostar Grand Hotel Budapest is situated in a privileged zone surrounded by significant buildings, embassies, and commercial districts. Constructed in 2011, its guestrooms are a perfect combination of modern luxury.